Science fiction, mystery, paranormal activity, alternate realities, action/adventure. A Dark Inheritance by Chris d’Lacey has a little bit of everything! Author d’Lacey drops the reader right in to the story without a lot of set-up, which I’ve always found to be a thrilling way to start a book. We, the reader, get to learn and discover along with the characters. So when teenager Michael is surprised by his own sudden appearance of a ‘power’ which manifests itself while Michael is clearly upset/nervous/anxious about an animal, we are also surprised and curious as to what has happened. As the story develops, we learn that Michael has the ability to alter reality. As his ability comes upon him, Michael is visited by representatives of an organization that uses the acronym UNICORNE. The mystery surrounding UNICORNE is heightened when Michael learns that his father, who disappeared years ago, was an agent for UNICORNE. The threads that tie together in the book are remarkable and this is not light reading, but the reader who likes to be challenged and think a little while reading will be rewarded. I like being surprised when reading a book, and there was at least one aspect, involving two young women in the book, that I did not see coming (their connection to one another). As much as I enjoyed the unravelling of the story and the intricate plotting, there were some aspects of the book that did not ring true to me. Michael is assigned, for lack of a better term, a handler. Someone to watch over him and hopefully guide him a little bit, once he joins UNICORNE. This person, Chantelle, is rather a fun character, appearing in different roles throughout, but as his closest associate, and someone of authority in UNICORNE, she makes some un-wise choices that seemed to be so only for plot convenience. There is also a sense that UNICORNE is not exactly what they are trying to convince Michael it is. I don’t know if this is intentional and something will be revealed in later books in the series, or if I am reading too much in to it. But in either case, it doesn’t work if I want to root for and support our protagonist and I don’t believe in the organization he’s joining — unless, of course, that’s exactly what d’Lacey wants, but then he’s spent too much time elsewhere for this to be the major plot-point. I really was entranced and surprised and liked a great deal of the book. 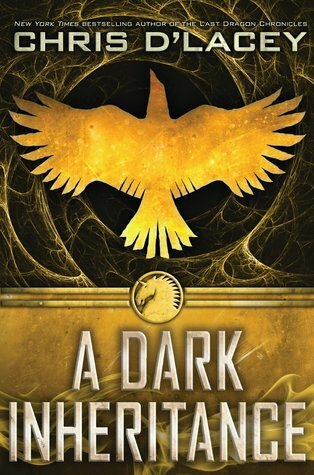 I’m very easily intrigued enough to look forward to the next book in the series. Looking for a good book? You will have to pay attention to the story and try to keep up with all that’s happening, but this YA sci-fi adventure is a lot of fun and promises some excitement in future series installments. I was actually giddy with excitement as I approached the one-quarter mark in this book. Never, I felt, had I been so excited about something so original. A concept that was brilliant and unique. And the fact that it was all about language made it even more appealing to me. By the time I was three-quarters of the way through the book, I couldn’t wait for it to be done. The brilliant concept: In our near future, a smart-phone-like device called a Meme not only keeps people in constant contact with one another through calls, texts, and a wide variety of social media, but has taken ‘smart’ to the next level and anticipates and even informs the users of his or her own needs (such as hailing a cab when it’s time to leave the office or ordering take-out food when the stomach starts to rumble). So far, this doesn’t seem like fiction at all, does it? As in any society with technological changes, there is a group opposed to this technology advancement and here it is Doug Johnson, an editor of the North American Dictionary of the English Language (NADEL), which is about to have a new printing. When Doug disappears, his daughter Anana has only the written word “ALICE” as a clue to lead her toward her father. Due to the need for money to help finance new editions of the dictionaries, NADEL sold the rights to its property and now, with the help of the Memes, users must pay a per-word fee (or buy a pack of words) to look up a word. But something even more nefarious is happening. Called a “word flu,” people are losing the grasp of language. Memes are supplying completely new words for existing ones, replacing the English language with something that can now actually be owned. As part of the flu, people begin to speak with the new words, appearing unintelligible to those who haven’t contracted the flu. I truly think this is a brilliant (though not entirely original) concept (there’s clearly a strong 1984 sensibility here). As someone fascinated by language and words and decrying the loss of language, I was completely behind this concept and, as I wrote earlier, actually giddy at the idea. I even appreciated all the nods to various literary allusions. Where the book does not succeed: The book tries to do too much, not fully realizing any of it. I’ve heard it referred to as a literary mash-up, but it might better be referred to as literary mush. Alana, our protagonist, is not particularly likeable. Whiny, lost, immature. I never cared about her relationships (nor did she) and never ever bought in to her tireless search for her father. And yet that’s what 80% of this book is about. Half way through the book I realized the direction the book was taking and it became tedious with each alphabetical chapter repeating her search and the growth of the word flu. One of the most fascinating aspects of this book is coming to the realization of how powerful the human brain can be. Even with the word flu in effect and new words being substituted, I was amazed at how much I could still comprehend in those sections where the reader is shown the language of the affected. An impressive debut novel, but like another much-touted debut novel, Swamplandia!, this fails to fully realize its potential. Looking for a good book? 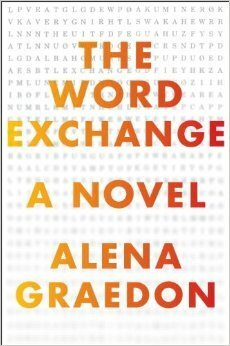 The Word Exchange is daring and bold but doesn’t hold a strong story all the way to the end. Author John Shiffman has written an exciting espionage thriller … no, wait a minute … this isn’t a work of fiction! This is a well-researched, thoroughly documented expose of a true international sting that reads like an espionage thriller! First off, the title…. I’ll admit that I was, in part, interested in this based on the title as I have a passing interest in Shakespeare. But the ‘Shakespeare’ moniker is very misleading. It comes up maybe twice in the book, and while I got a real kick out of how the name for the operation came about, it has nothing to do with Shakespeare. No big deal…it’s still a great read…but be wary all you Shakespeare geeks. I’m the sort of person who likes watching Cops because I like seeing the criminals get what’s coming to them. I like seeing that good will triumph over evil. And for that reason, I also enjoy reading this sort of book … where the criminal is caught, justice prevails, and the American way of life is preserved for another day. Author John Shiffman gives us that good-over-evil with the conclusion of a successful mission (I don’t think that’s a spoiler), but at the same time, reading through this, I couldn’t help but get a strong sense of frustration. It becomes clear that this mission would never have gotten off the ground, never been followed through, and never would have reached a successful conclusion if it weren’t for the dedication of a few individuals who often had to fight against their own support groups to get what they needed. I also read in to this that it’s generally by great strokes of luck that our government is able to find and catch those who are stealing American military technology. If it weren’t for the hubris and general stupidity of the victim here, it’s likely that he never would have been caught, much less with his laptop computer containing a great deal of information. Shiffman sets up the book with the introduction of the major characters, and just like a good espionage novel, he slowly reveals how the players manage to come together in the sting. Unlike a typical espionage thriller, however, in which there would probably be a wake of bodies and a good foot-chase and shoot-out at the end, this book ends with a bit of a whimper (although the denouement is thrilling as it does look like it won’t come off due to bureaucratic in-action). It’s great to see that sometimes our (American) action to stop the sale/theft of military technology actually works, but this book should also be a wake-up call to Americans (and our allies) everywhere that we need to be more diligent about calling for the safety of our citizens and soldiers. Greed should not cost lives. Making a sale of equipment that has military potential should not be the end of the story for any corporation. If items are sold over-seas, there needs to be follow-up, on the part of the companies involved, to ensure that the equipment is being used for non-military intents. Looking for a good book? Operation Shakespeare is a great non-fiction espionage thriller. 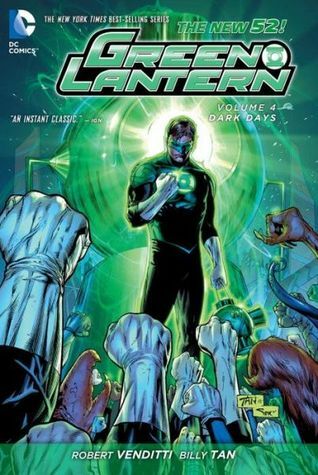 After reading the “Blackest Night” series, I wondered how anyone could possibly maintain a strong sense of drama with obstacles and goals in te Green Lantern series. I felt that anything would pale compared with the high drama of the “Blackest Night” series. Author Robert Venditti manages a valiant effort! The only thing that kept me in the story was that all the rings suddenly, inexplicably lost power. Had it been just the Green Lantern’s, I might still have stopped, but the power-outage was across the spectrum of rings. This was potentially intriguing! Even the minor relationship squabble between Hal and Carol was simple and stupid. Finally the real story develops. A figure by the name of Relic appears. Relic is the discoverer of the powers behind the spectrum and he is awake to preserve the power of the light. Every time a Lantern uses his/her ring, energy is drained from the ultimate source. Relic, therefore, is there to protect the power of the lanterns and Hal, in his new, egotistical, macho mode, essentially say to heck with it…it’s worked for hundreds of years, it will work for hundreds more. Clearly there are some parallels with our own worldly views on energy, the oil crisis (or lack of crisis, depending on your view) being one of them. But why does our titular hero take the opposition view? Ah…well therein lies a major source of conflict, as some of the Lanterns under Hal’s charge think that they should be more conservative with using the rings’ powers. And the potential for using up a major universal energy source sets this story in the high drama stage. Unfortunately, it’s all treated rather immaturely. Relic is fought off quite easily and the new knowledge of the rings’ limits isn’t treated with the respect or concern it should. There is, however, another disaster of epic proportions which over-shadows the new knowledge of the rings, but this disaster, too, comes as a bit of second-hand information, rather than the culmination of an epic story. I’ve always enjoyed the Green Lantern series, and I used to be a fan of Hal Jordan, but this new Hal, is not heroic or leader-worthy, and while there’s a lot of great potential in the stories, there is no focus. The art by Billy Tan works well. There is nothing extraordinary here, but nothing embarrassing either. Looking for a good book? Green Lantern, Vol. 4: Dark Days introduces some great themes and plots, but none of them is built to their potential. One of the things that has always drawn me to books for younger readers is the opportunity (or challenge) to teach, or share information, in an entertaining and exciting story. This new Disaster Strikes series is a little more overt in its educational aspect (emergency preparedness), but it is still a fiction story at its heart, with a disaster as the springboard for the story’s action. In Disaster Strikes #1: Earthquake Shock, author Marlane Kennedy sets her story in Los Angeles where Joey Flores is skate-boarding with his peers Fiona, Kevin, and Dillon. Joey and Dillon are not the best of friends, and when Joey’s mother appears to drive Joey home, Dillon teases Joey. However, with Dillon’s help, Joey manages to convince his mother that they will all be leaving the skate park soon and that he’ll be safe walking home. As the four friends start home, a major earthquake rumbles, dramatically moving the land where they are and crumbling an overpass that they are passing beneath. They get separated by the fallen concrete. Joey and Fiona are concerned that Kevin and Dillon may have been crushed. It isn’t safe for them to walk over the concrete as it may shift in an aftershock, so they hurry around the overpass. They find Dillon, alive, but trapped beneath some concrete. Rescuing Dillon, and finding Kevin, they continue on, wondering if they will even have homes to return to. They find a little girl, wandering lost. When they find the girl’s mother, the girl nearly runs from their arms and across a live, downed power wire, until Joey saves her. They make it to their homes, but due to concerns about ruptured gas lines, they spend a night in a nearby shelter. A lot clearly happens in the brief eleven chapters of this early-reader book. But that’s okay. The story moves along quickly and packs in quite a bit. However, because of this, the troubled relationship between Joey and Dillon didn’t play out very well and was mostly unnecessary. Because of the didactic nature of the book, I have concerns over one issue. When Joey and Fiona find Dillon with his leg trapped under some rubble, Joey climbs in, head first, under the rubble to see how Dillon is trapped. He squirms around, uses a knife to cut Dillon’s pant leg to free him. If Fiona and Dillon hadn’t then both pulled one of Joey’s legs, he would have then been crushed as the rubble shifted. But just moments earlier, Joey himself notes that the rubble could shift and they should stay clear of it. Yet he only pauses briefly to weigh the concerns of climbing completely under. The narrator notes: “But that was a risk Joey had to take.” Really? I don’t think so. I think I would have to have some serious conversations with my children about this. Risking one’s life for someone else’s legs doesn’t seem a fair trade-off. Dillon’s legs may have been crushed if the rubble shifted, but he wouldn’t have been killed. I think it would have served everyone much better to seek an adult’s help, but to stay with Dillon in the process. Otherwise, the dangers to be on the look-out for are well described both in the fiction portion of the book, as well as in a few pages of earthquake facts. Those who don’t live in earthquake areas are sure to learn something about earthquakes and their dangers, and those who do live in high-earthquake areas will likely be reminded of a few things. But don’t go crawling under concrete rubble! Looking for a good book? 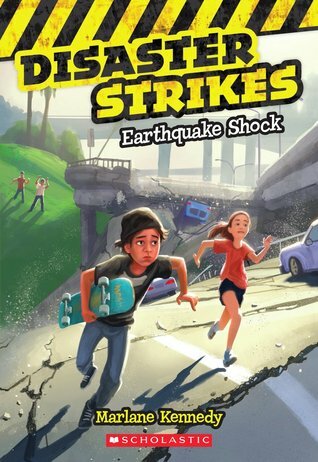 This early-reader adventure will entertain and teach a few things about what to watch out for when in an earthquake. The kids upright some tossed-about four-wheelers and head out to look for Wyatt’s father. Just as they find, driving toward them, they watch another tornado develop right between them. The new tornado is headed their way and, unable to outrun it, they lie flat in a ravine. They soon realize, though, that the tornado isn’t headed their way after all, and as they stand to see what’s happening, they see Wyatt’s father’s truck get tossed around by the tornado. Wyatt’s father is injured, but alive, and Alison performs first aid — something she learned in Girl Scouts. Joshua and Jackson, with Wyatt’s help, go looking for their parents; their home is nearly demolished. They rush in to an unsafe, damaged home. They first have to rescue Joshua who is hanging from a collapsed stair-case, and then the parents, who are trapped in their cellar from debris against their exits. Like the first book in the series, we manage to get a number of potential concerns from a tornado, not just the tornado itself. Here it’s mainly debris and unsafe structures due to the damage. But also, as in the first book, we have youngsters doing things that they shouldn’t, putting themselves in harm’s way. But these instances felt ‘real’ in the sense that they are what kids their age would likely have to deal with or how they might truly react. The ‘story’ book-ending the disaster didn’t really work. I think it was supposed to be about Wyatt not looking forward to entertaining his cousin Alison and his coming to accept her and actually look forward to visiting her in New York at the end of the book. But it was so casual, almost tossed off at the beginning, that it never had anything to develop. Fortunately, the real story is the dealing with the natural disaster. The fact pages “More About Tornados” is interesting and probably just about right for an early reader. Looking for a good book? 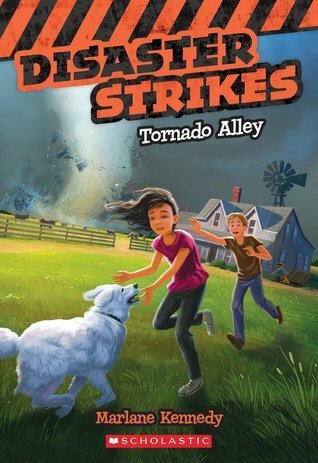 This early-reader adventure will keep readers turning pages and teach a few things about what to watch out for when a tornado is imminent. Having spent a good portion of my life working professionally in theatre, I was certainly familiar with the O’Neill Center, if only by name. But having spent most of that career in the Midwest and West Coast, I’d never gotten closer than reading about the place in magazines and web sites. Jeffrey Sweet manages to open the doors and make this institution a warm and inviting place. I feel as though I’ve known everyone there and would be welcomed as an old friend. Author Jeffrey Sweet takes us on a journey, exploring the foundation of The O’Neill, through the many and varied ways in which it has supported the arts, artists, and has been a springboard for other organizations. I was hooked to Sweet’s writing, and to the information that would follow, with the opening in which Sweet associates what Citizen Kane did for movies and movie-making, The O’Neill did for theatre. Even for those readers who are familiar with the O’Neill Theatre Center and what it’s done for playwrights, it’s possible that many are not familiar with what it has done for puppetry, musical theatre, cabaret, international theatre exchanges, theatre criticism, National Theatre of the Deaf, and even independent films. This book opens eyes just as the O’Neill opened many, many doors. We learn about the people who built the theatre; those who created the environment that is conducive for creating art. We also learn about some of those who benefitted from the O’Neill. One the biggest stories is also a bittersweet story — playwright August Wilson, whose career was built with the strong assistance of the center’s Lloyd Richards, but who seemed to abandon the center for his own company (for which many believe his work suffered). The O’Neill Center has survived hard economic times and a fluctuating political climate. Theatre companies have come and gone in these turbulent decades, but the fact that the O’Neill Center has survived, and thrived, is a testament not just to the center’s leaders, but to its ideals. The Center is still helping to define American theatre by working with playwrights. This book is a wonderful source of theatre history and a virtual Who’s Who of American Theatre over the last half century. It is liberally supplied with photos from the Center’s archives. Jeffrey Sweet manages to make the Center, and its history, accessible and, as mentioned at the top, inviting. The goal, it would appear, for every theatre student should not necessarily be to get to Broadway, but to get to the O’Neill Center. Looking for a good book? 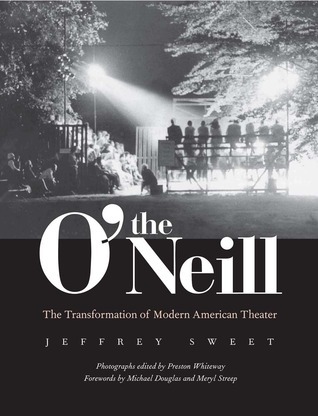 Jeffrey Sweet’s The O’Neill is an important and accessible work of theatre history and a source of encouragement for anyone interested in the future of American theatre in general and playwriting in particular. Highly recommended. 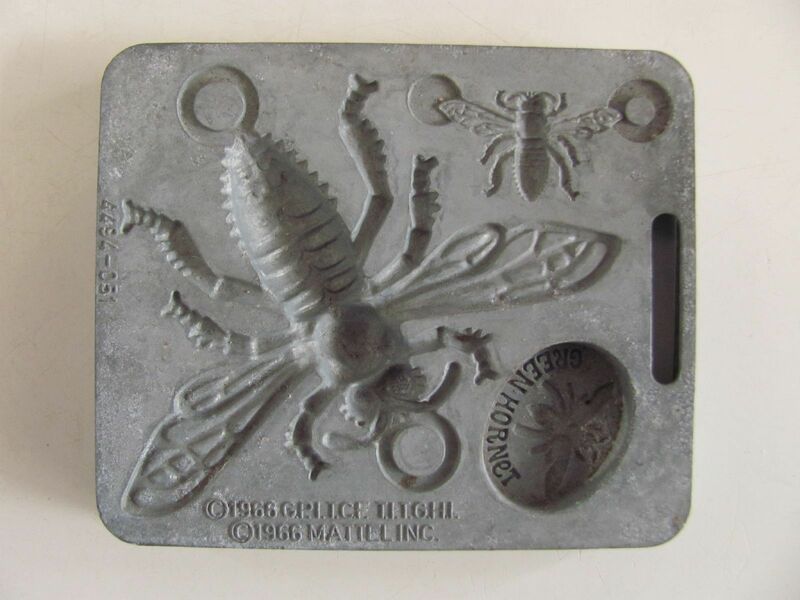 The Green Hornet has been mostly absent in my life since I was maybe eight years old and making Green Hornet rings and plastic hornets with my classic (then new) Mattel™ Goop Thingmaker® (as seen here), which was one of my most favorite toys back in the 1960’s! Yet for some reason, The Green Hornet appears to be making a come-back of sorts. 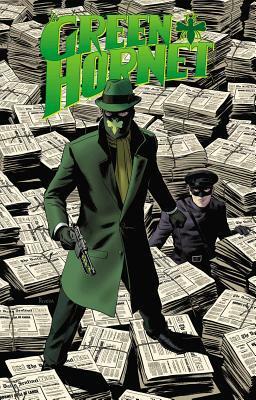 With this particular graphic novel, The Green Hornet has been featured in at least three graphic novels that I’ve read in the past few weeks (Masks and Dark Knights). Here, author Mark Waid tries to put a new twist on an old character, making him more human, if that’s possible — he’s not a super-human or super-hero. He’s a vigilante. He works to ingratiate himself with the underworld by appearing to be one of them … a criminal. He does this with violence and threats, using the very means of the criminals themselves. So how does this separate him from the criminal underworld? Therein lies the question that Mark Waid uses to build his plot. The Hornet is trying to find a mad bomber who has threatened the city. The Hornet uses strong-arm tactics that put him on the same level as the criminal underworld. This action creates rifts within his own world, the most severe of which is with his trusty servant/partner Kato. Most of this story is psychological as it follows Britt Reid’s descent in to becoming just what he’s fought against, risking his personal life and fortune as he becomes singularly focussed, and then his attempts to rise above the filth of the underworld. Waid’s use of Citizen Cane as inspiration is wonderful. More so that he admits to it. If the book didn’t have Waid’s strong hand writing it, this would have never survived the storyline. The artwork is fine. Daniel Indro’s contribution is slightly stronger than Ronilson Freire’s. Indro’s is a bit more three-dimensional and realistic, while Freire’s seems flat by comparison. Both manage to capture a gritty, violent world. Looking for a good book? Mark Wiad’s The Green Hornet Volume 1 brings our 1940’s crime-fighter in to the spotlight, but mostly for his criminal activities. It’s not a bad read, but isn’t a book that is easy to recommend either.